Difference between the gorilla glass and soda lime glass? It’s me PRINCE. I just wanna know the difference between the gorilla glass and soda lime glass. Tell me which one is suitable for touch mobile phone’s smart shield? And I thought everyone in the touch screen business had read my white paper on glass! Let me summarize the salient points, even though none of us are worldly enough to know what a “smart shield” is. First, if your purpose is to protect the touch screen, glass is a better and more long lasting option than plastic. Touch performance is better through glass, and its non-scratch characteristics exceed all but the most exotic (read expensive) plastics….it is also clearer and thus easier to read information on the display. But you are asking Touch Guy to enter the battle of which is best…Gorilla (Corning’s trade name for AAS glass [read the white paper]) or soda-lime glass in this application. In the beginning, there were a lot of problems with the touch panels breaking when the smart phone was dropped (good business for Touch Guy), so the top layer, called cover glass or cover lens, was chemically strengthened, which helped reduce breaking. Chemically strengthened glass is made by exchanging sodium ions for potassium ions, the latter being bigger. After this process the top surface is compressed and the glass under surface remains under tension, which makes the glass much more difficult to break. 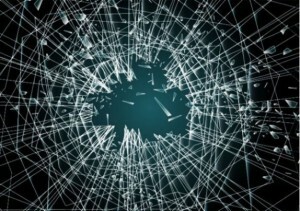 Gorilla glass and plain-old-soda lime glass have pretty much the same break resistance after the chemically strengthening process. However, AAS glass is more porous, so when it is chemically strengthened, the potassium ions go deeper into the surface of the glass. If your habit is to put your smartphone in your pocket with your keys and spare change, and if your active life-style causes the keys to scratch the glass, the surface compression ions will be compromised first in soda lime because they are not as deep. The person with the pocketful of keys and smartphones will need a lot more 10,000-step-days before his Gorilla cover glass will break when dropped (her smart phone is probably not in her pocket, so you may need a “his” and “her” version of whatever smart shield is). 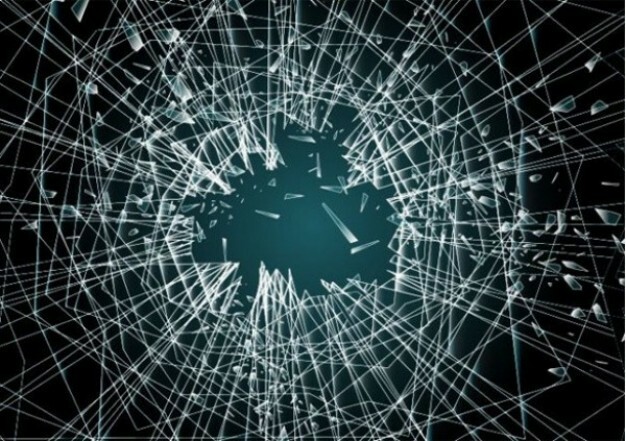 Now, in the more than you wanted to know about the matter category…all glass is vulnerable to cracking when it gets hit on the edge…and the most vulnerable is glass that is not seamed (smooth edge) before it is chemically strengthened. In the purely rumor category, the iPhone 5 was the first to use Gorilla glass, and initial comments were that it was breaking more than the-plain-old-soda-lime touch panels. The purely rumor explanation was that the initial phone design had more access to the edge of the cover glass, so it was easier to whack and therefore break….welcome the law of unintended consequences. So you will want to step in your smart shield a little to protect its edge. So there you have it. Quite possibly, after all that you may have still not got the answer you were looking for even though I hope you learned something. I can definitely appreciate the repair market for smartphones. Of course, Touch Guy’s new all plastic molded touch screens will not break or scratch – so perhaps many devices will not need this “smart shield” in the future. http://touchinternational.com/wp-content/uploads/2018/05/TI-Logo-Long-Caps-Web-300x54.png 0 0 TouchGuy http://touchinternational.com/wp-content/uploads/2018/05/TI-Logo-Long-Caps-Web-300x54.png TouchGuy2014-11-20 04:22:072015-12-01 13:04:23It’s me PRINCE. I just wanna know the difference between the gorilla glass and soda lime glass. Tell me which one is suitable for touch mobile phone's smart shield?